Recently, an open source company (Open Dynamics) I was involved with, organised a seminar called "Automating Your Business Processes The CODE-LESS Way" in Jakarta, Indonesia. The seminar was held on Aug 9th, I was in Jakarta for a good 3 days. 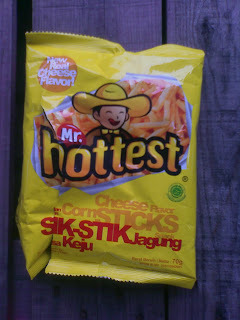 I discovered this cheese snacks that was really tasty... :-) Brought a bunch home. 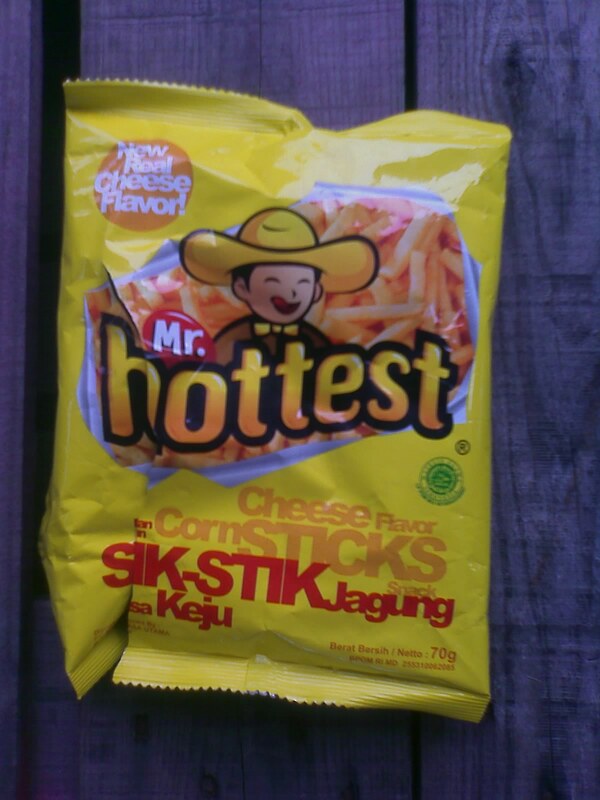 Will buy more the next time I am there. 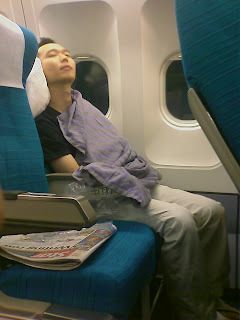 A very tired colleague of mine on our way back to KL. It was really weird for me to see a street peddler selling real human hair! 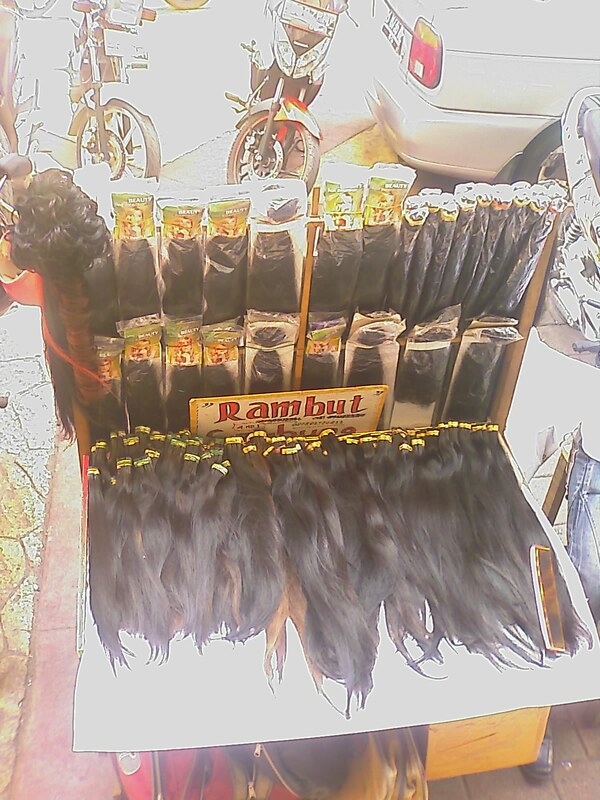 Check out the complete selection of human hair for sale! Creep me out! The night before the seminar, me and my colleagues were invited to dine in a very nice and classy Chinese restaurant in Setia Budi One. I believe the name of the restaurant was called Ming. 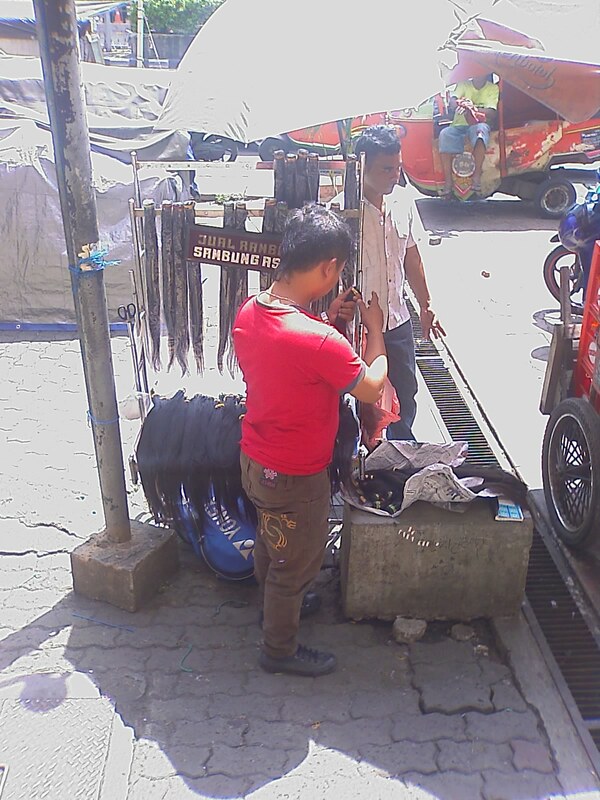 Our Indonesian patron was Pak Kuang and through him, we met Jason, although just met, felt like a long lost brother! 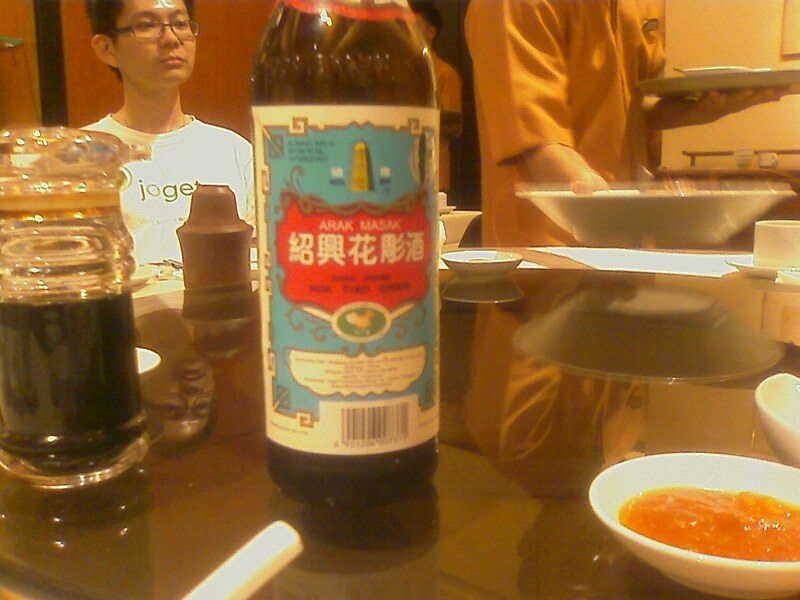 Before dinner was served, we were surprised to see Pak Kuang and Jason being served a bottle of Chinese cooking wine. 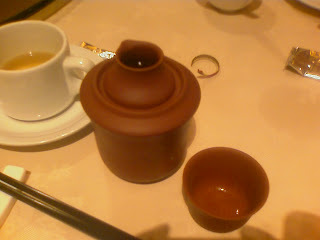 The wine was poured into a clay test-tube like container submerged in hot water in a tall clay cup. 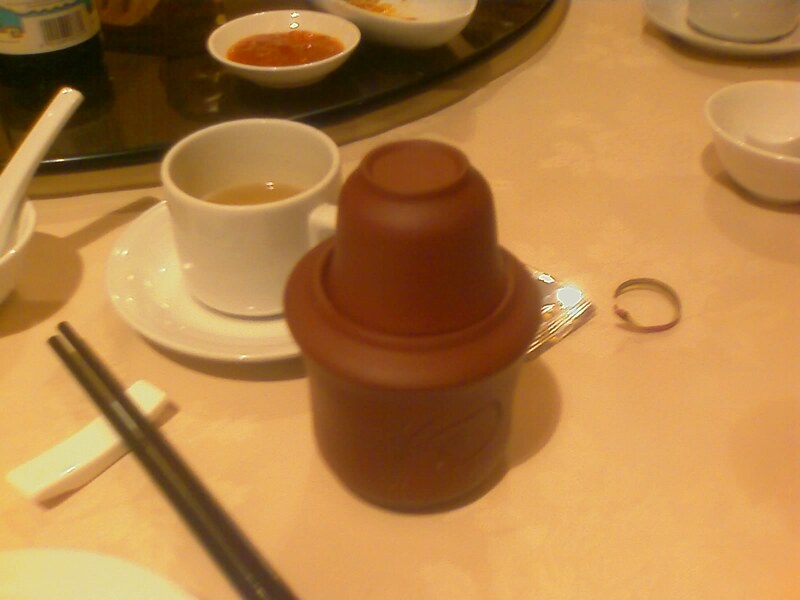 A smaller wine cup was was placed on top to contain the heat. (I am poor at explaining this. Watch the video :P) In any case, the intention was to heat up the cooking wine before drinking. 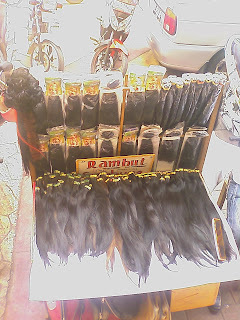 Needless to say, we were all very curious. Why were they drinking Chinese cooking wine? Hey... cooking wine for cooking? When we asked, we received a very logical explanation... LOL. Jason believes that it is the drinking companions that one has, that decides how good the wine and food taste; and how enjoyable the night will be. With that philosophy in mind, if the companionship is not enjoyable, then neither would the most expensive bottle of french wine. But if one's company is enjoyable, whether it's cooking wine or one of the most expensive french wine, you will enjoy and cherish that moment. 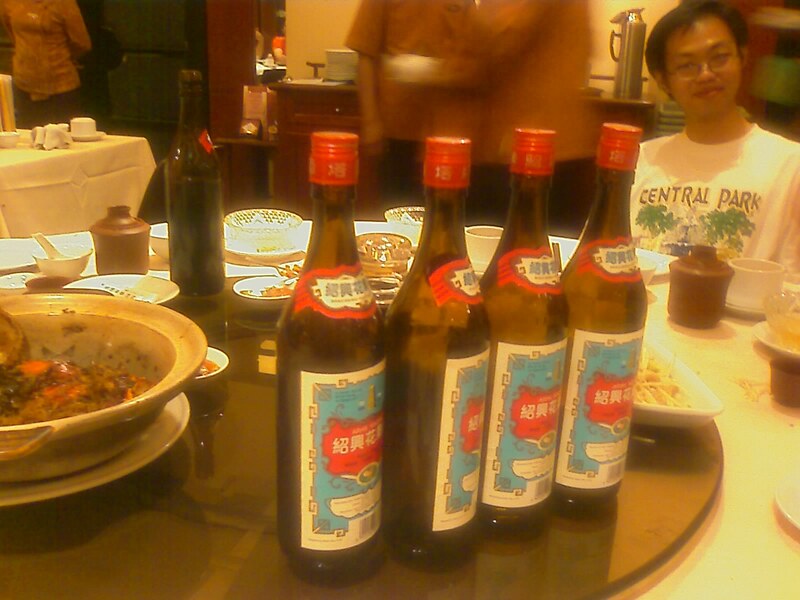 And true to Jason's words, all of us enjoyed the Chinese cooking wine with a taste that was of good friends sharing conversation, laughter and fun. Oh... and the food was good too... LOL. 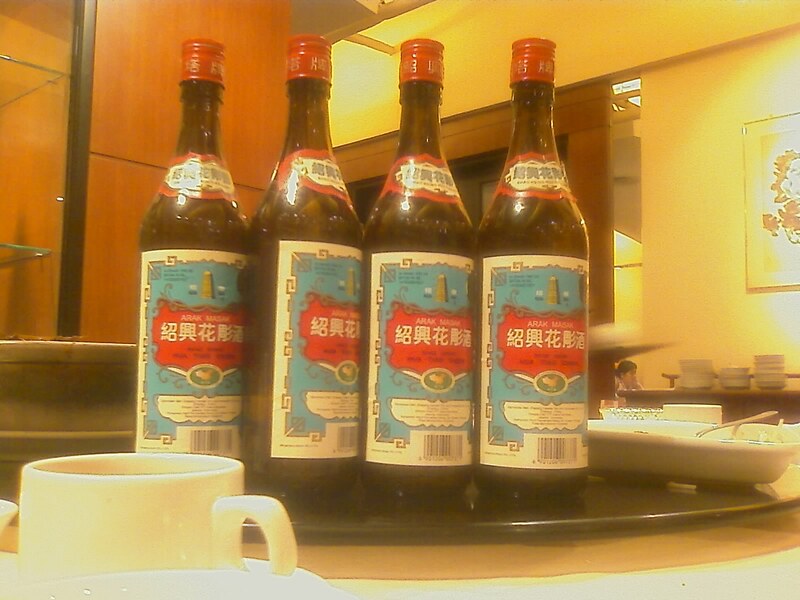 We drank 4 bottles and wanted more... but it was getting late and we had a seminar to conduct the next day! The episode just begged to be revisited and we intend to do it soon... :-) The following are some videos I took of the occasion. How to pour the Chinese cooking wine. How to drink the Chinese cooking wine.